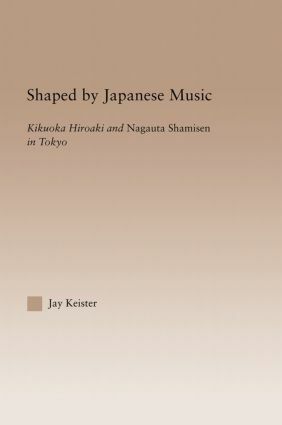 Shaped by Japanese Music is an in-depth analysis of the musical world of an individual performer, composer, and teacher. Using an ethnographic approach, this study situates musical analysis in the context of its creation, demonstrating that traditional Japanese music is hardly an archaic song form frozen in the present, but an active sociocultural system that has been reproduced in Japan from the seventeenth century to the present day. The dynamics of this cultural system unfold in the musical experiences of Kikuoka Hiroaki, the leader of a school of nagauta music, who struggled to modernize the art form while trying to maintain the qualities he believed to be fundamental to the tradition. Through the focus on Kikuoka's school, readers will become familiar with conflicts in the recent history of this music, traditional Japanese teaching methods, and the technique of modern composition within a traditional form. Underlying all of these different analyses is the concept of kata (form), a Japanese aesthetic that helps shape musical forms as well as the behaviour of musicians.